Members of the WWHS Class of 1958 began accumulating funds through personal contributions at the Gathering of Eagles in 2005. The goal was to offer the first class scholarship at the 50th Class Reunion in 2008. The first scholarship was awarded in May 2008 and announced at the WWHS Class of 1958 50th Class Reunion on August 2, 2008. The first recipient was Leslie Brooke Price daughter of Kevin and Jessica Price of Beckley. In order to be a recipient of this need and merit scholarship, one must be a WWHS graduate with a 2.5 or better average on a 4.0 system. The scholarship can be used for any higher education program including trade and vocational schools, junior colleges, 4-year colleges and universities. The original members of The WWHS Class of 1958 Scholarship Selection Committee were Edward Snuffer, Joyce Shumate Phipps (now deceased), Linda Underwood Kloop and Martha Wood Ventura. The committee was informed in 2013 that due to recent IRS directives members of the selection board may serve on the committee but other individuals who are not “related parties” must constitute as majority of the selection committee. Additional contributions to the fund are encouraged to secure the endowment. “It is a gift that keeps on giving.” Please consider making a donation to the scholarship fund. Make checks payable to Beckley Area Foundation (BAF) and be sure to note the gift is for the WWHS Class of 1958 Scholarship Fund. Congratulations to Cody Ray Dean as the 2010 recipient of the WWHS Class of 1958 Scholarship. While attending WWHS Cody was active in school, church and community activities. He graduated 10th in his class of 315 and is an Advanced Placement Scholar (score of 3 or more on 3 Advanced Placements Exams). He received the United States Presidential Service Award for serving 100 plus hours of community service. Cody also served as an honorary page in the WV State Legislature. Cody extracurricular activities included class president, woodwind captain of the marching band, and manager of the school store and served as executive director of the Young Democrats. Cody is a member of the Crab Orchard Baptist Youth where he was involved in mission work. One of Cody’s teachers described him as being organized, creative, resourceful and diligent. He is respected by his peers and faculty alike. Cody will be interning this summer at the United States Department of State as a student assistant to the chief of a bureau within the department. He has been admitted to Harvard and will attend school there starting with the fall semester. 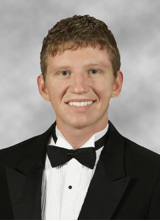 Cody Dean has been the WWHS Class of ’58 Scholarship recipient for the last four years (2010, 2011, 2012, and 2013). He is attending Harvard University where he is studying government with focus on Latin America and Middle Eastern Economic Development. He is currently beginning to write his thesis on these topics. Cody is involved in campus political organizations. He also works in the Information Technology department. 2011, 2012 & 2013Congratulations to Cody Ray Dean as the 2010 recipient of the WWHS Class of 1958 Scholarship. While attending WWHS Cody was active in school, church and community activities. He graduated 10th in his class of 315 and is an Advanced Placement Scholar (score of 3 or more on 3 Advanced Placements Exams). He received the United States Presidential Service Award for serving 100 plus hours of community service. Cody also served as an honorary page in the WV State Legislature. Brianna graduated from WWHS in May 2009. While in high school she was on the honor roll consistently and completed fifteen (15) credit hours at Concord University. As an underclassman, Brianna received an award in World History and Pre-Algebra for earning the highest grade in her class. She is employed at Sears in the Crossroads Mall. At the age of seventeen she was able to save enough money to purchase a car as well as pay for the insurance. Brianna volunteers at Rescare. It is an agency that provides services for individuals diagnosed with Mental Retardation and /or Developmental Delays. She has taken clients to the prom, to ballgames, bowling and movies and to events they would not have been able to attend without her guidance. Brianna has been accepted at Concord University and plans to study Psychology with an emphasis in early childhood development..
Victoria Christopher Withrow, Class of 1958, is Brianna’s grandmother. 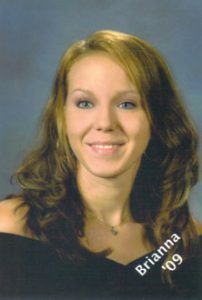 Brianna Vicars is our second scholarship recipient who graduated from WWHS in 2009. She is attending Concord University where she is a senior pursing a degree in child psychology with a minor in social work. Brianna works part time for the Coordinating Council Independent Living for Young Adults with Special Needs. She is making her grandmother our own classmate, Victoria (Vickie) Christopher Withrow proud. 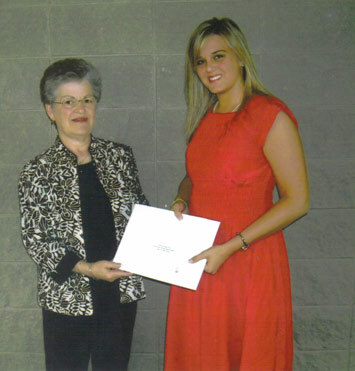 Leslie Brooke Price is presented the first scholarship awarded by the WWHS Class of 1958 Scholarship Fund. Joyce Shumate Phipps (now deceased) a 1958 graduate made the presentation. It was the goal of the Class of 1958 to award the first scholarship as part of the 50th Class Reunion Activities. Leslie graduated 79th in her class of 310 graduates. Her extracurricular activities included bowling, French and Key Clubs and Senior Representative for the school year book. She has received Top of the Class awards both in English and French. Leslie volunteered at Bill Shraub Insurance Agency and worked at the YMCA Pre-School. She is an active member of the First Church of the Nazarene. Leslie has been accepted at West Virginia University and plans to study elementary education. In 2008 at the 50th Class Reunion our Class of ‘58 awarded our first scholarship to Brooke Price. Brooke attended WVU where she was an honor student, but transferred to Concord University the following year for the remainder of her education. She graduated with a degree in Elementary Education. She is currently in her first teaching job at Beckley Elementary where she teaches Kindergarten. Cody Dean has been the WWHS Class of ’58 Scholarship recipient for the last three years (2010, 2011, and 2012). He is attending Harvard University where he is studying government with focus on Latin America and Middle Eastern Economic Development. He is currently beginning to write his thesis on these topics. Cody is involved in campus political organizations. He also works in the Information Technology department. The WWHS Class of ‘58 congratulates our scholarship recipients for their achievements and encourages continued success.